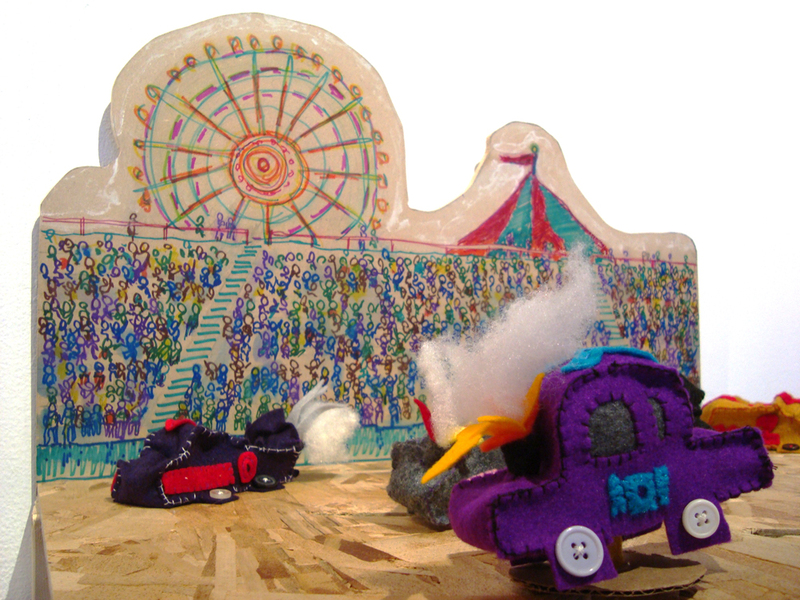 There’s still a couple of days to see the amazing Puppet-A-Go-Go inaugural show, featuring animal marionettes, a puppet version of the entire Friday The 13th slasher movies series, and a demolition derby puppet theatre you can drive yourself. Puppet-A-Go-Go with marionettes by Clelia and Alexa. 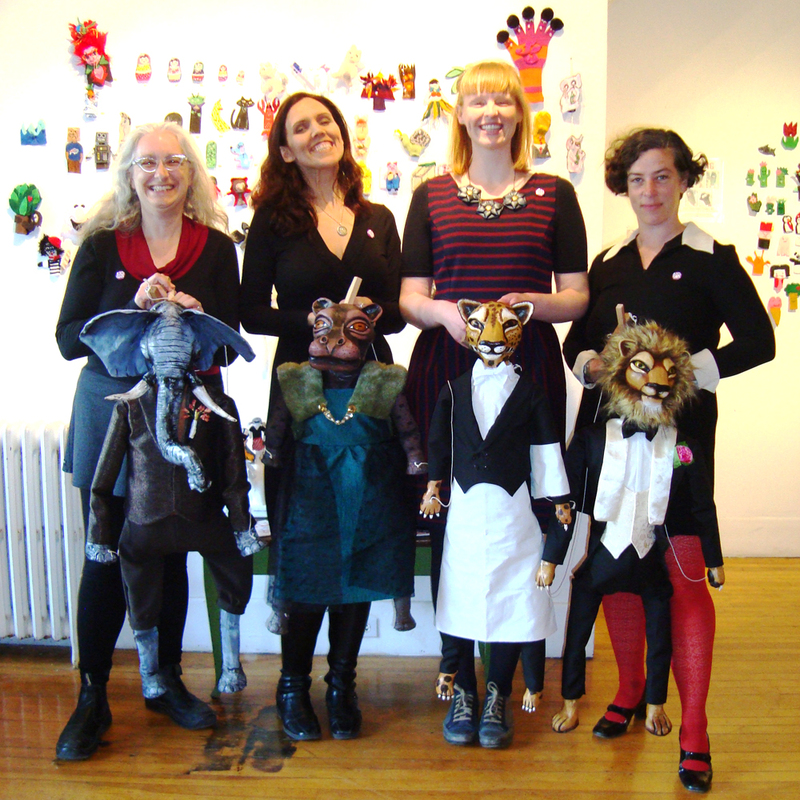 (Left to right) Christine Cosby, Clelia Scala, Alexa Fraser, Trisha Lavoie. 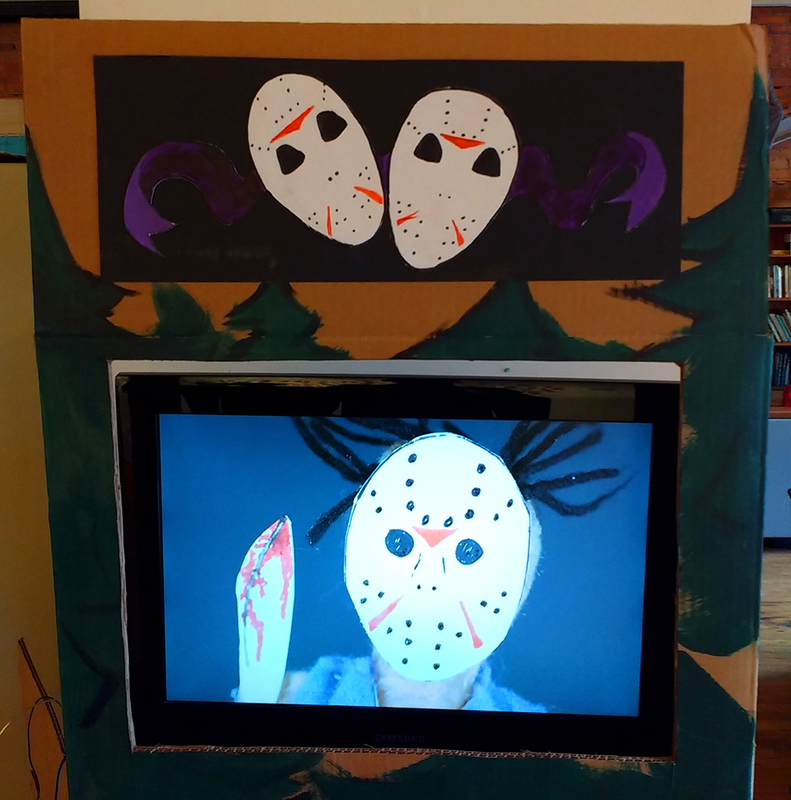 Friday The 13th puppet show. 10 minute video performance by Trisha Lavoie. Of course, there’s also the Wall of 1000 Finger Puppets! A portion of the Wall of 1000 Finger Puppets. This entry was posted in General information, Projects. Bookmark the permalink.